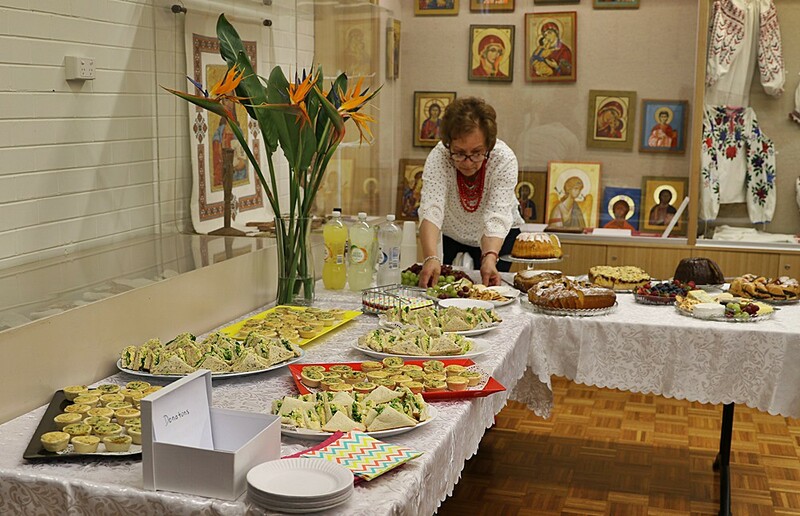 The Ukrainian Catholic Women’s League of Australia in Melbourne, under the leadership of Hania Polatajko, has organized another highly successful community information meeting. 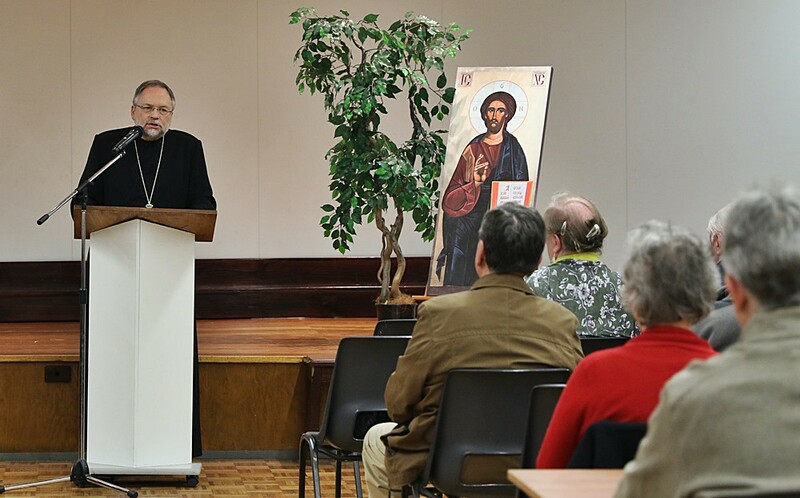 On Friday, 5th October 2018, at Cafe Trembita, Bishop Hlib Lonchyna, the Bishop of Great Britain and Ireland for Ukrainian Catholics, presented a talk on Patriarch Joseph Slipyj and also led a discussion on the imminent granting of the “Tomos” to Ukrainian Orthodox in Ukraine. 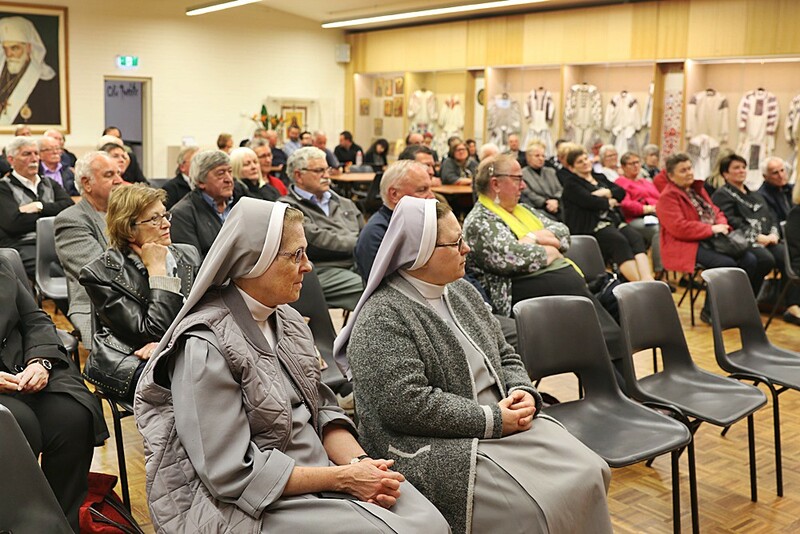 The hall was full for this presentation. 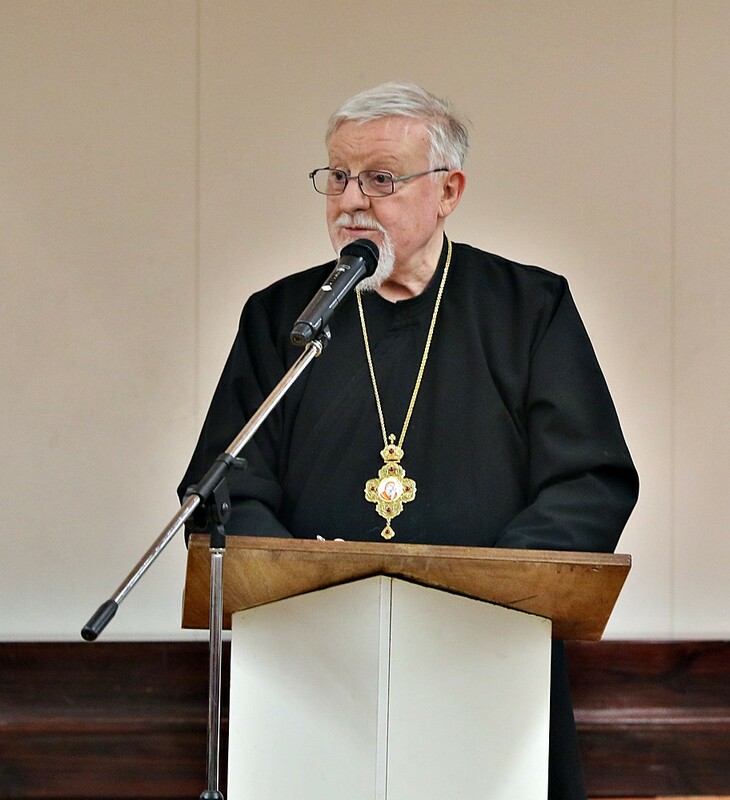 Speaking of Patriarch Joseph, Bishop Hlib stated that there were three reasons why the Patriarch, the survivor of 18 years of the Soviet Gulag, will always be remembered. 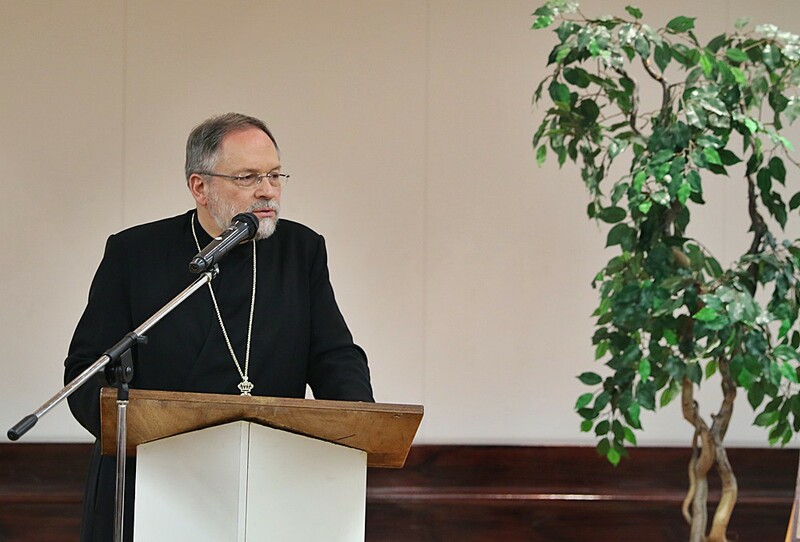 First, he reminded the world, that all Eastern churches are naturally led by a Patriarch. 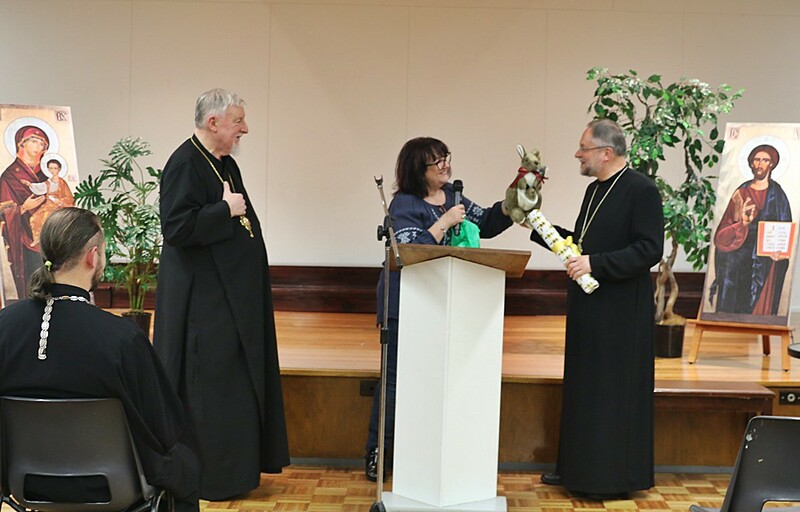 The Ukrainian Church must have its leader recognized as such. 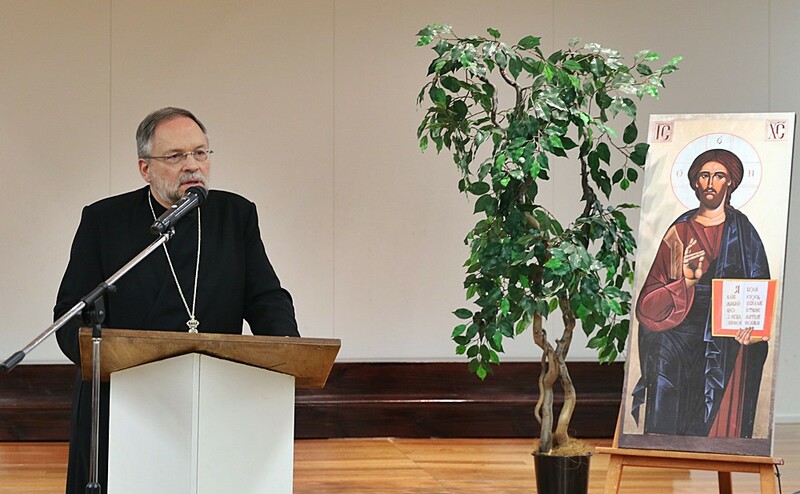 He first raised the idea in 1963 at the Second Vatican Council. 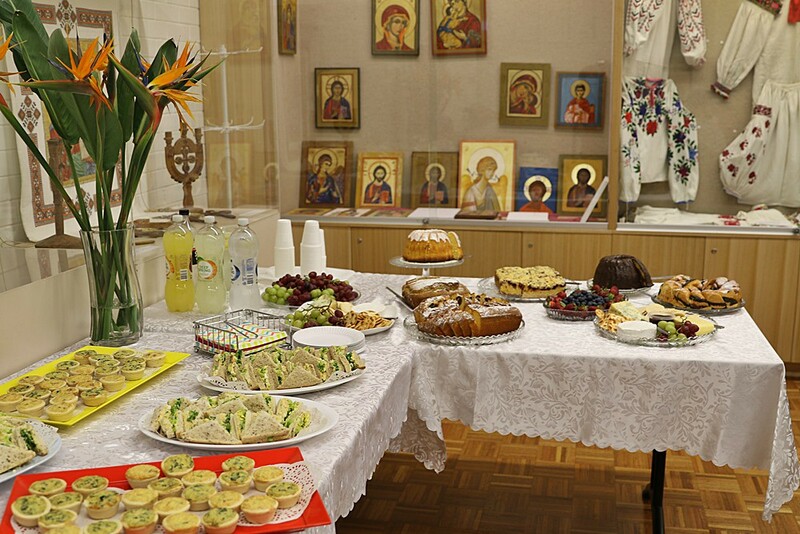 Today all Ukrainian Catholics ae united about the topic and use the term extensively. 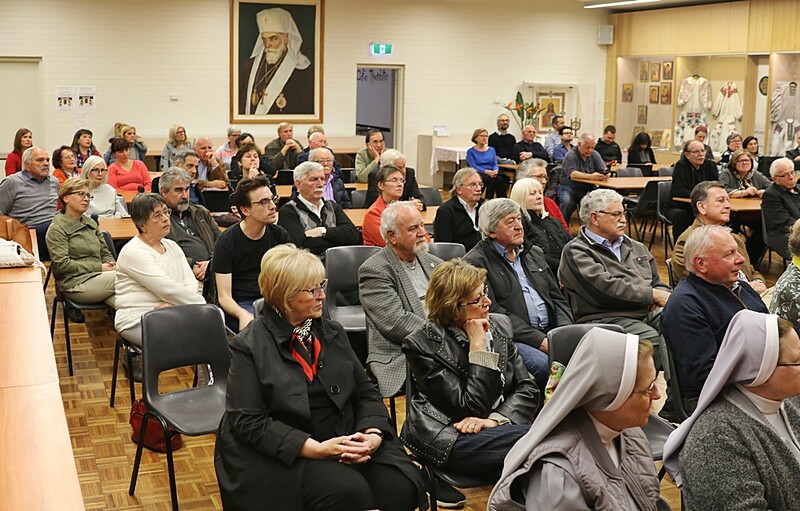 They all know that is only a matter of time before it is officially recognised. 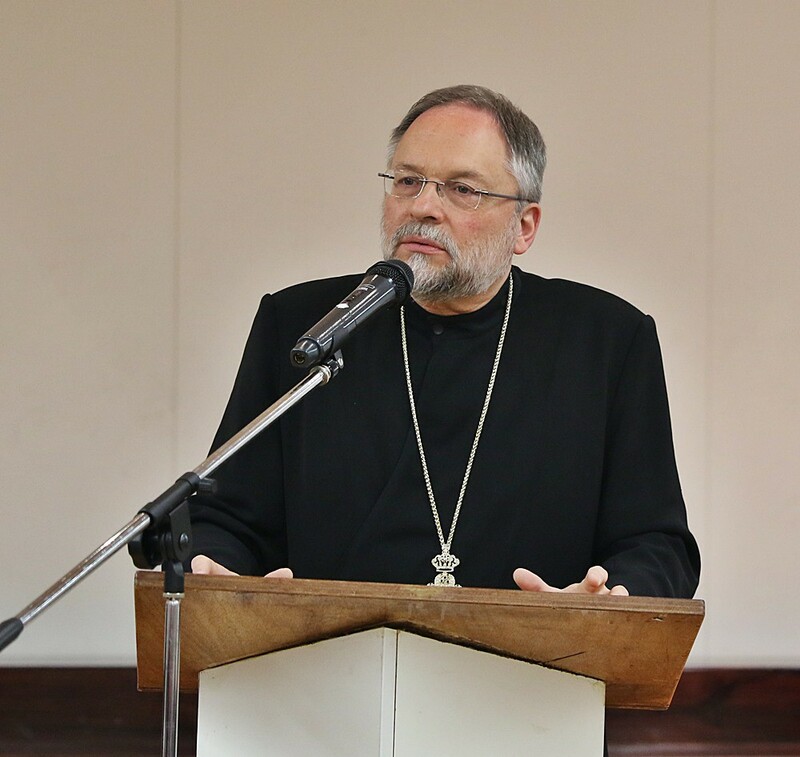 He then stated that the Patriarch’s vision of re-establishing the Ukrainian Catholic University was bold and providential. 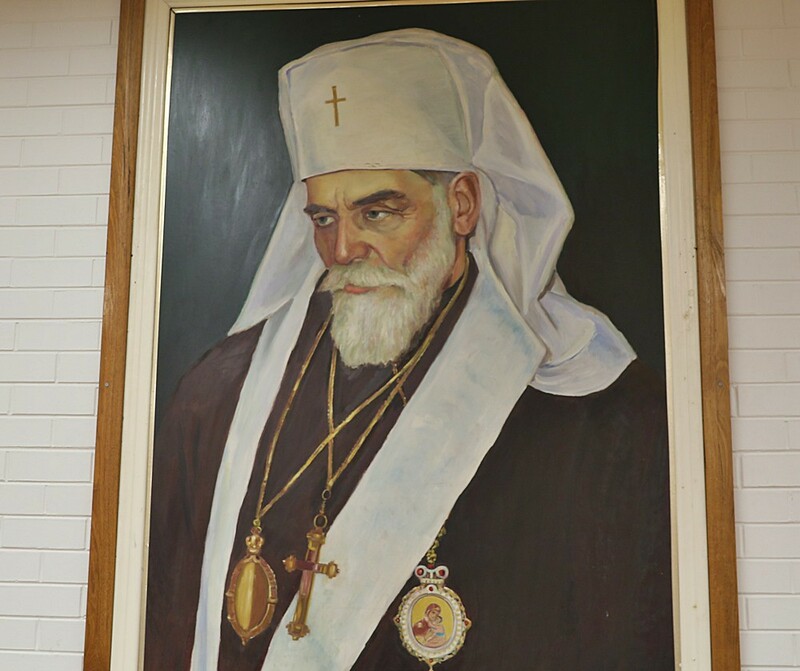 The university which had its roots in Ukraine in the 1930s has now grown and multiplied in Ukraine again. It however came back to life in Rome under his leadership. 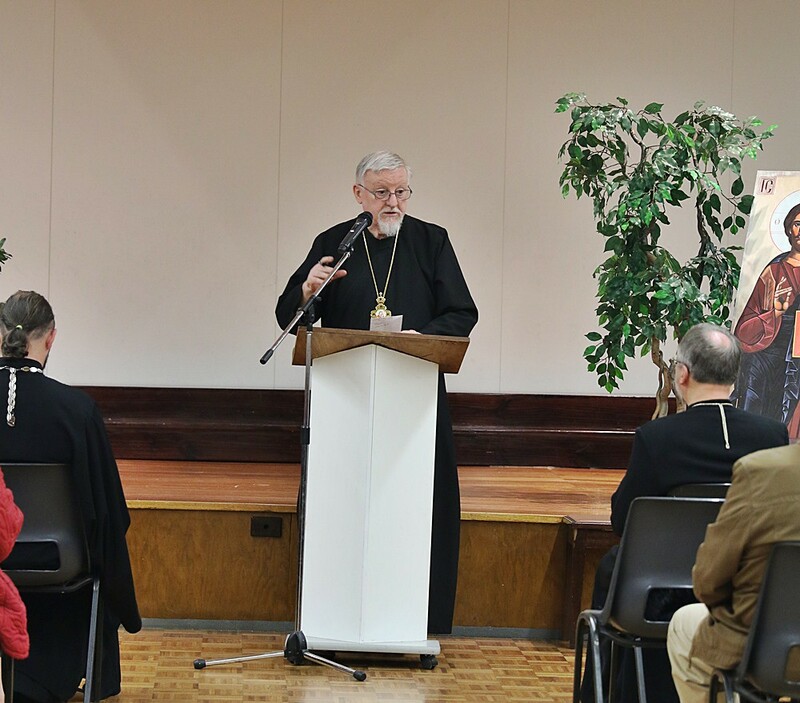 Bishop Hlib then stated that Patriarch Joseph will be remembered for unifying our church which now exists on all continents. 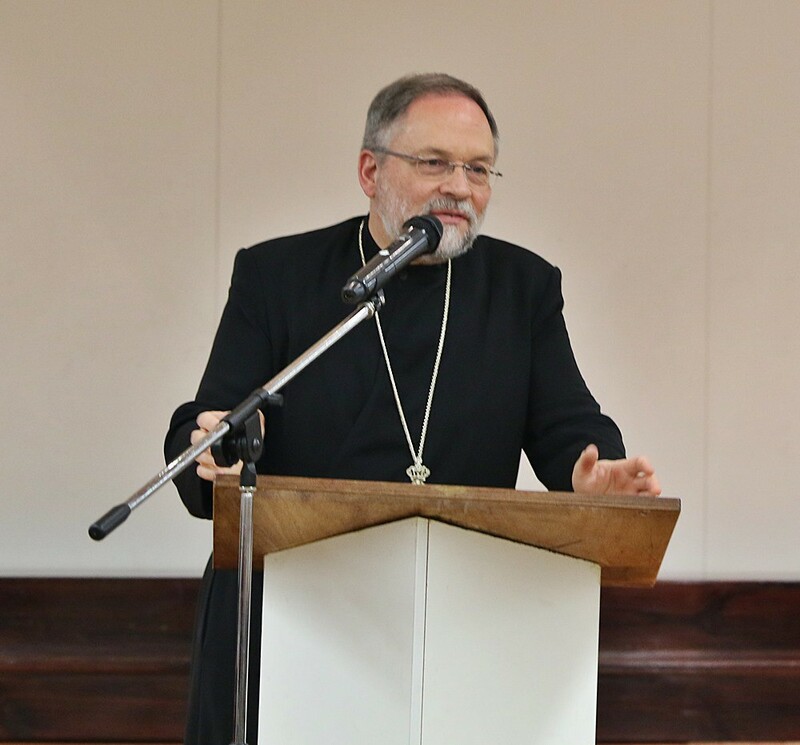 Because of his efforts, today we see a church of 50 bishops who are united in a Synod, and who express a spiritual and liturgical unity with Ukraine. This is truly a sign of God’s blessing. 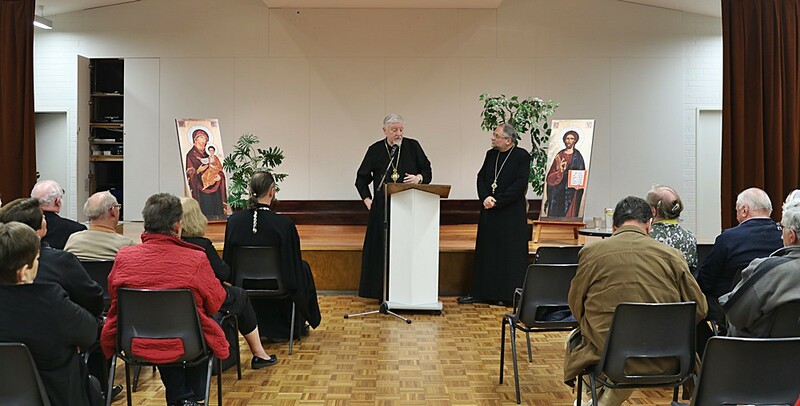 In the second half of the evening Bishop Hlib and Bishop Peter presented the complicated topic of the upcoming topic of Ukrainian Orthodox unity in Ukraine. 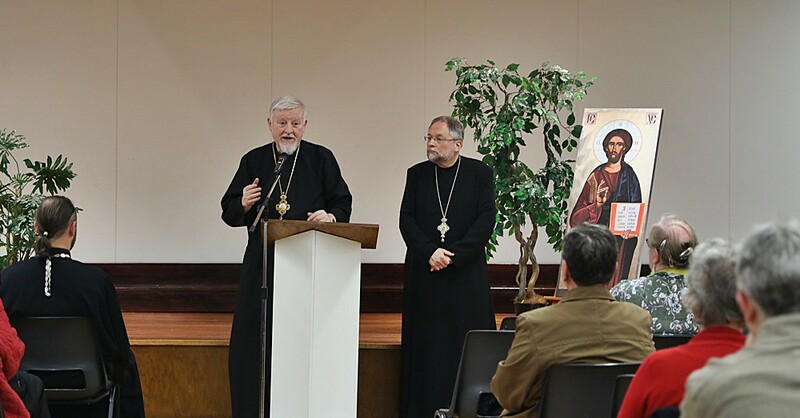 It was stated that this is a matter for the Orthodox themselves, yet it was a matter of interest to all Ukrainians. 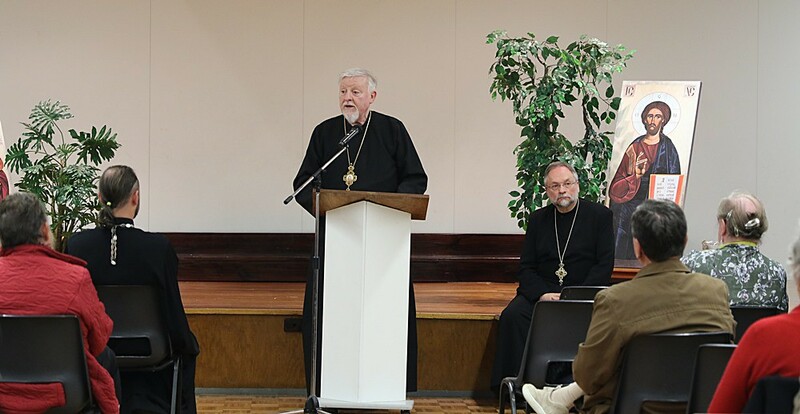 It was said that the position of the Ukrainian Catholic Church was that we supported the idea in principle but were not involved in any way in the process itself. 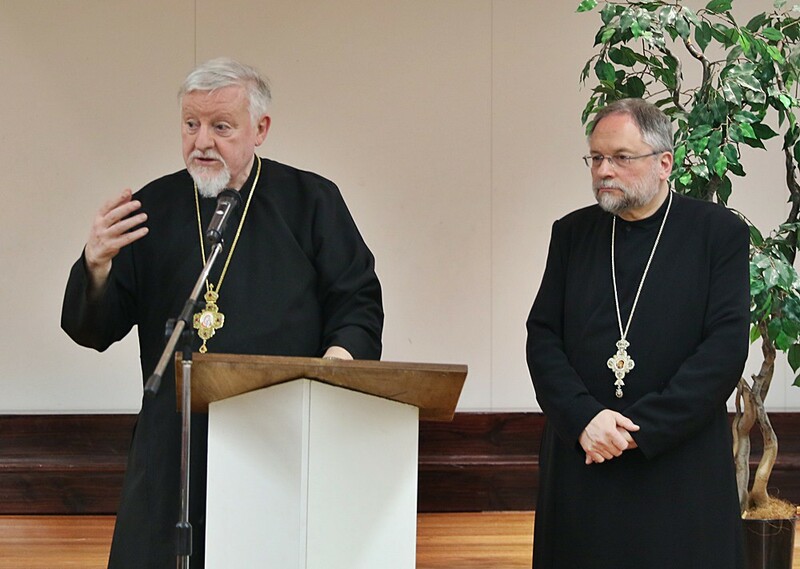 The Orthodox Church in Ukraine will resolve the matter by themselves. 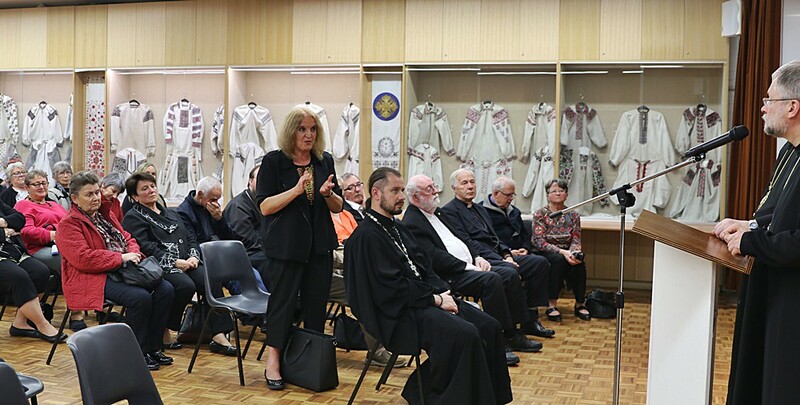 A very wide-ranging conversation about both topics followed. 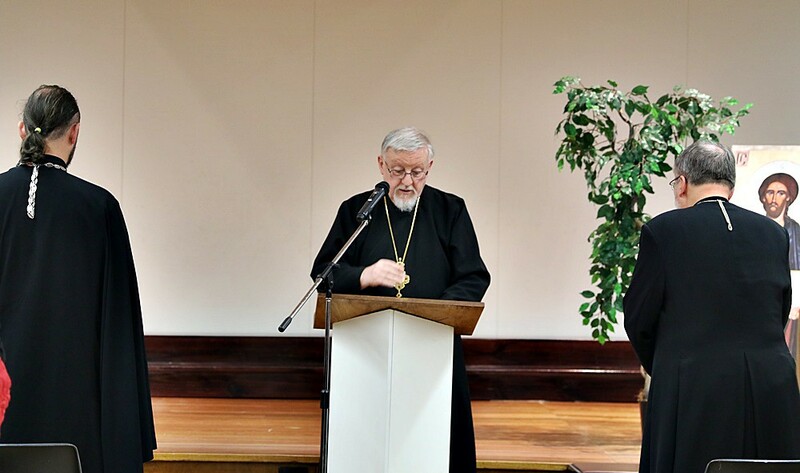 We all thank Bishop Hlib for his visit to our Eparchy.